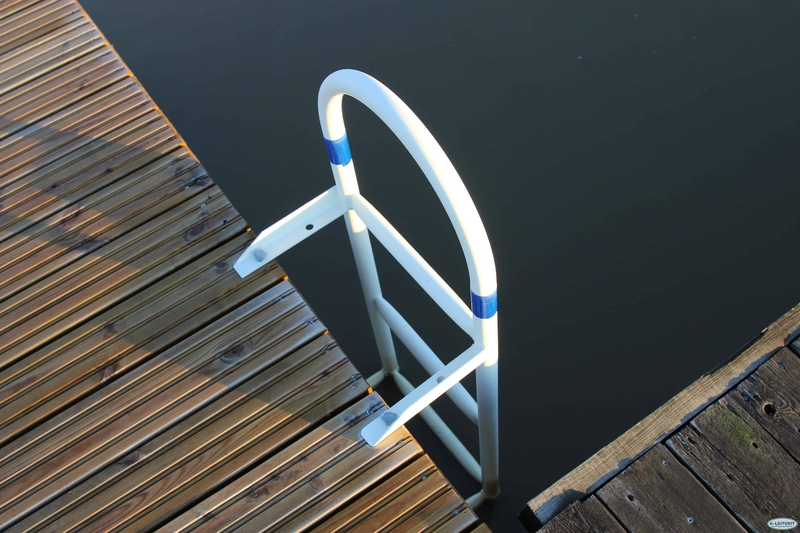 The loose safety ladders placed on the deck of the pontoon are potential lifesavers. 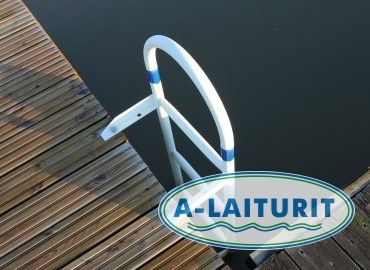 However, they will not help someone in peril who is alone in the water. 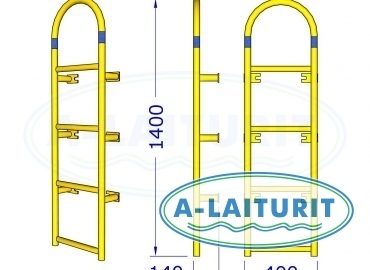 It is therefore of utmost importance that long docks have fixed safety ladders installed. 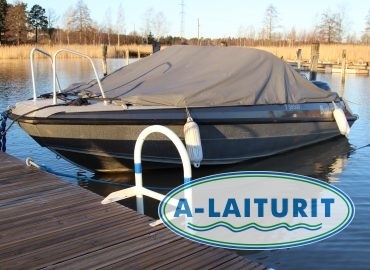 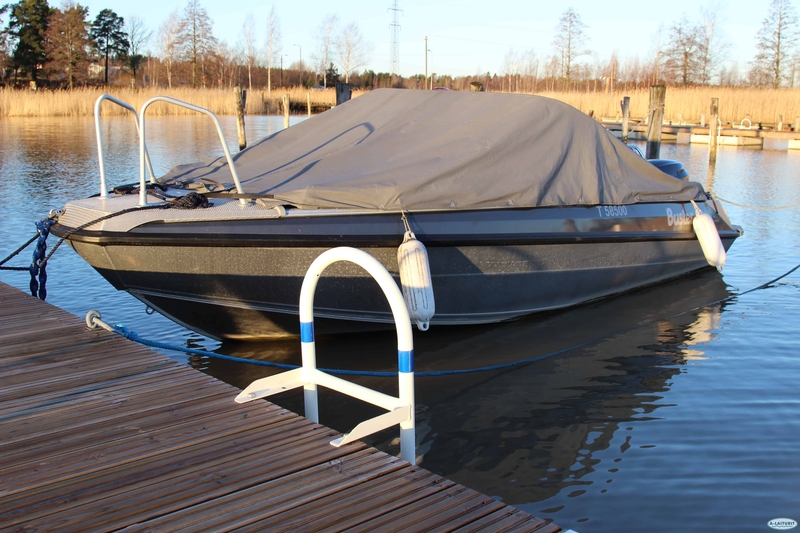 If the water is over 1m deep by a fixed dock, or if a floating dock rises to over 30cm above the surface of water, the dock has to have ladders at intervals of 25m. 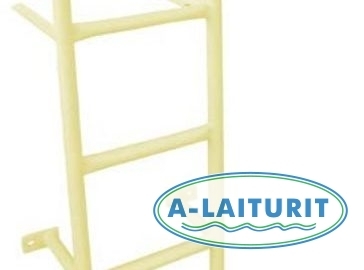 The ladders have to be clearly marked and functional for climbing out of the water (Safety instructions for marinas published by the Finnish Maritime Administration, March of 2007). 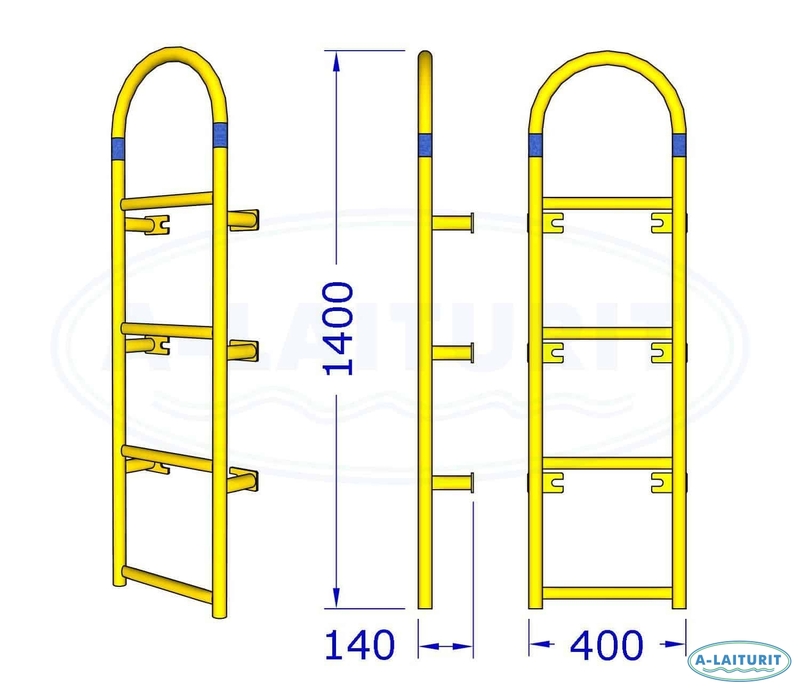 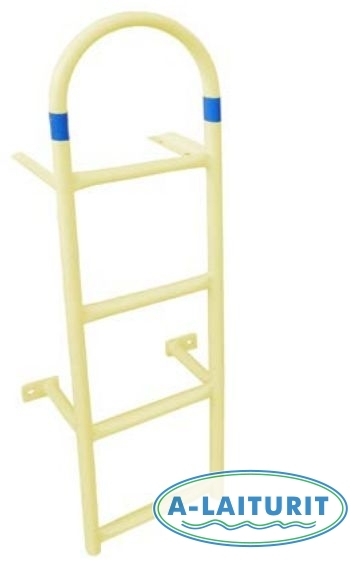 The safety ladder is hot dip galvanised, painted, and equipped with reflectors.